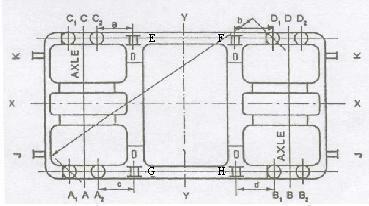 1.Side frame and head stock centers of bogie frame will be permanently punch marked in conspicuous manner. 4. No welding joint comes under the Axle guide. Please, mention the code No. 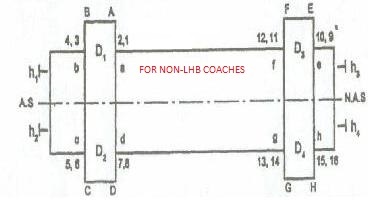 as shown below and give your remarks on the items covered in that Area as observed in this newly received coach on receipt & commissioning.